fourth quarter and full year ended December 31, 2018.
million in 2017, representing an increase of 3.6% over the prior year. representing a decrease of $82.9 million, or 67.2%, over the prior year. investors in the “Investors” section of its website at http://www.lantheus.com/. website regularly for important information about the Company. or 1-678-509-7599 (international callers) and provide passcode 4056488.
section of the Company’s website at www.lantheus.com. 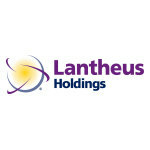 in the Investor Relations section of our website located at www.lantheus.com. safe-harbor section of this press release. financial performance prepared in accordance with GAAP. Quarterly Reports on Form 10-Q). assets and changes enacted under the Tax Cuts and Jobs Act of 2017.
impairment of land of $0.9 million.